Watercolor art has been around for years but with the recent ombre craze, the popularity of this art form has risen right along with it. 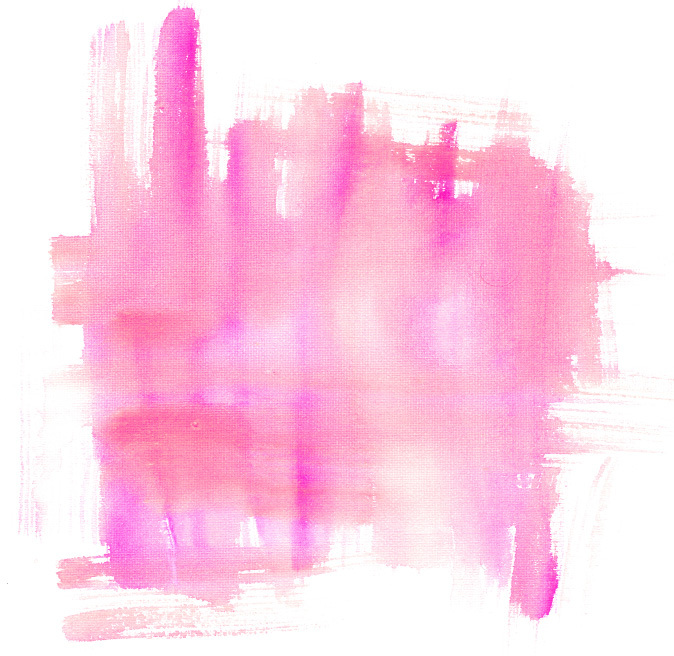 Whether you opt for a classic watercolor painting or hand-dipped ombre decor, there is a little something for everyone who loves the soft look of watercolor. We’ve rounded up a selection of decor inspired by watercolor so that you can bring a little bit of the whimsical art form into any room of your home. 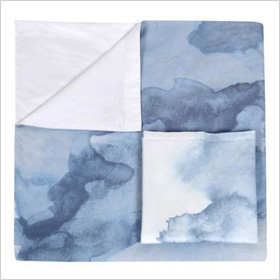 We’re loving this bedspread from Urban Loft. The bedding has almost a hand-painted look to it, making it both modern and sophisticated. 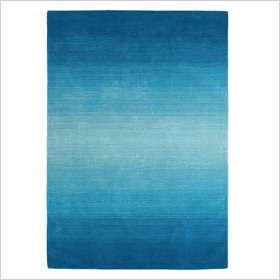 The deep blue tones will remind you of the ocean as you drift to sleep. This is the perfect option for someone who wants something relaxing in their bedroom without being too plain or boring. This peacock-colored rug from Pier 1 Imports can carry the watercolor theme through to your floor. The subtle variations in color will be a beautiful focal point in any room. Mix in other blue tones with accessories and art pieces to complete the look. Or you can use other jewel tones like purples or greens to give your room a rich look. 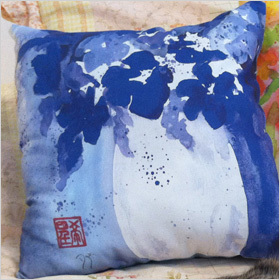 These gorgeous watercolor pillows from Etsy shop Beverly Dyer are like little pieces of art for your couch or bed. Mix and match a few of her designs for a pop of color or combine this printed pillow with a solid comforter or a plain couch that needs a little touch of color and fun. These pillows are an easy way to bring a punch of color into your room without being too bold or overwhelming. 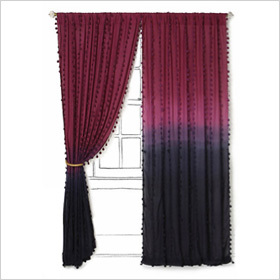 Add a little touch of watercolor and ombre to your windows with these gorgeous plum curtains from Anthropologie. The rich colors will add a touch of sophistication to your space while the ombre pattern and little embellishments keep them from being too stuffy. When the light shines through them, it will look like a large piece of art on your wall. This shower curtain from West Elm will complete your classy beach theme. 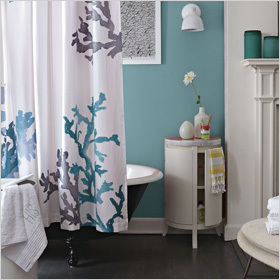 The look of hand-painted coral in tones of blues and grays will add a light and airy feel to your bathroom. Mix in sandy tones and other natural elements like wood, linen or twine to give your space a sophisticated coastal look. 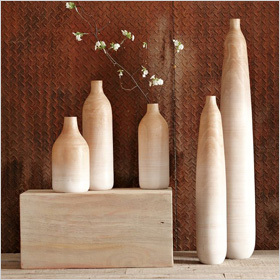 These vases from West Elm are actually made of wood, but the ombre tones give them an almost hand-painted look. If you are looking for a more subtle way to bring the look of watercolor in your home, these are a great option. They are neutral and versatile enough for any room in your home.